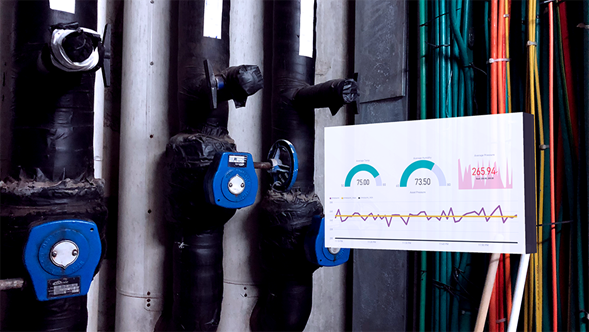 Today, we are happy to announce the preview of the Power BI for Mixed Reality app! With the mission to empower every person and organization on the planet to achieve more, we built the Power BI app for Mixed Reality to provide more flexibility for data consumption. One great example are first line task workers – this app brings Power BI to Microsoft HoloLens, helping people to make data driven decisions effectively by providing intuitive, hands-free access to their Power BI dashboards and reports in real time. The Power BI for Mixed Reality app is based on our UWP app, with additional unique capabilities that light up on HoloLens, and is now available in Microsoft Store. 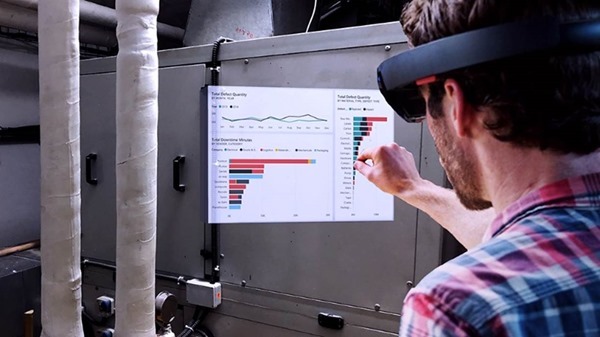 This app makes it easy to access your Power BI content while using HoloLens, allowing you to view and interact with report pages and dashboards on top of your real-world environment. It’s easy to get report pages and dashboards into mixed reality, and once you do, the visuals exist there every time you open the app, updated in real time, and persisting until you choose to remove them. You can experience Power BI content in two modes – you can either pin it on top of a specific location in the real world (such as a machine or meeting room), or have it follow you around in a “docking belt” at the bottom of your view port, allowing you to focus on different dashboards and reports as needed. The app also supports voice commands that complement gestures. You can use the “Follow me” voice command to pick up a visual that will follow your gaze, then use the “Dock” command to place it in your docking belt, and the “Place here” command to place the visual in a specific location. Another way to easily open report pages is by using QR codes. This could be very useful to load and view the digital data relevant for a specific physical object or location in the working environment. Simply gaze at a QR code placed in the physical world to open the report page related to it. The Power BI for Mixed Reality app is now available in the Microsoft Store aiming to provide our users with real time business information in the context of their work with a unique and delightful experience. To learn more about the app you can read our documentation or put your HoloLens on a try it for yourself!